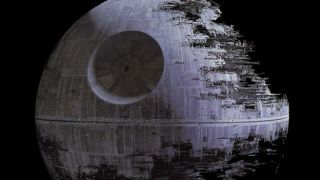 The United States isn't shy of splashing taxpayer's money on national security, but sadly for the 34,000 Star Wars fans who signed an online petition, the budget does not stretch to a fully-operational Death Star. This weekend The White House has issued a lighthearted official response to pleas to construct the fictitious battle station, entitled "This Isn't The Petition Response You're Looking For." The Obama Administration was compelled to respond as the petition, on the We The People website, had surpassed the requisite 25,000 signatures in the first 30 days. Explaining the decision, spoilsport Paul Shawcross at the Office of Management and Budget cited a mere $850 quadzillion cost and the lack of a desire to blow up other planets. Shawcross wrote on the We The People website: "The administration shares your desire for job creation and a strong national defense, but a Death Star isn't on the horizon." "The construction of the Death Star has been estimated at $850,000,000,000,000,000. We're working hard to reduce the deficit, not expand it. Shawcross also saved a few choice words for the original Death Star's weak spots. He added: "Why would we spend countless taxpayer dollars on a Death Star with a fundamental flaw that can be exploited by a one-man starship?"